This Woman Was Abandoned by Her BF While They Were on A Dinner Date. The Next Thing That Happened Was Tear-Jerking! Unique proposals typically become trending topics online. Who doesn’t enjoy reading about a love story coming to fruition? Marriage is usually the end goal for many couples, but before an unforgettable marriage, every girlfriend’s dream is an equally unforgettable proposal from their boyfriend. 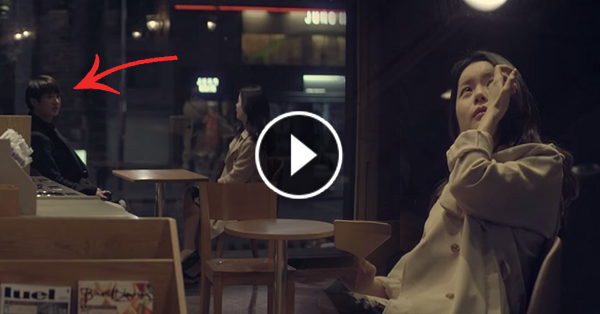 Soojung was celebrating the Korean Valentine’s Day with her boyfriend when he suddenly abandoned her without a word. This unexpected exit caused her quite a lot of confusion. Then, she received a call that forever changed her life. The caller told Soojung to face the building next to the restaurant where she was at. She saw 250 people putting post-its on the building’s windows. She watched while the hired messengers did their thing. Once they were done, Soojung could only look on with tears of joy streaming down her face. The million post-its fashioned a huge heart with a marriage proposal in the middle. Afterwards, her boyfriend reappeared with a bouquet of flowers in hand. He then attached a Post-it that said: “Ok?” onto the restaurant’s window. Soojung was very impressed by her boyfriend’s proposal. Imagine, he rented three floors of a building and hired 250 messengers just to accomplish his unique post-it proposal. How about you, dear readers? What is your ideal marriage proposal? Let us know below!